Elegant Pink is a delightful arrangement of pink gerberas, Anastasia and fresh carnations. The bouquet is skilfully arranged by our very talented British florists. The bouquet is beautifully wrapped in gift wrap and is a truly gorgeous arrangement that is suitable for all occasions. 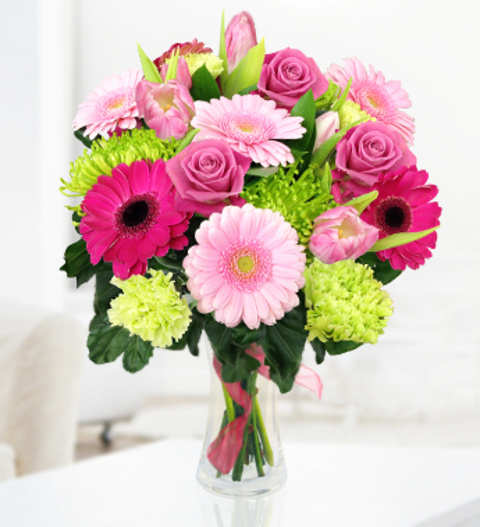 Order our Elegant Pink bouquet for delivery today! Order by 3pm for same day delivery.